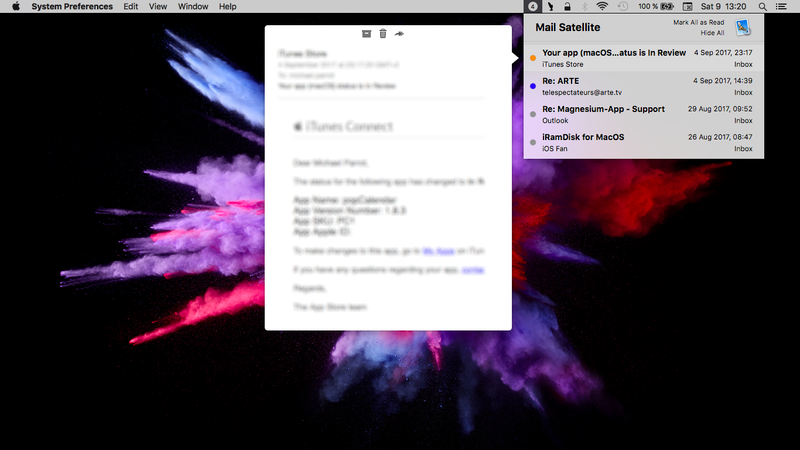 Mail Satellite 1.9.16 – Display unread emails from menu bar. Bug fixes (again) to solve some problems with macOS 10.13. This version is a very good version for 10.13 users. Next story Drive Scope 1.1.1 – Disk health and maintenance. Previous story RazorSQL 7.3.13 – Manage multiple databases from a single application. eMail Address Extractor 2.2.0.1 – Get email addresses from text files. eMail Address Extractor 2.1 – Get email addresses from text files.